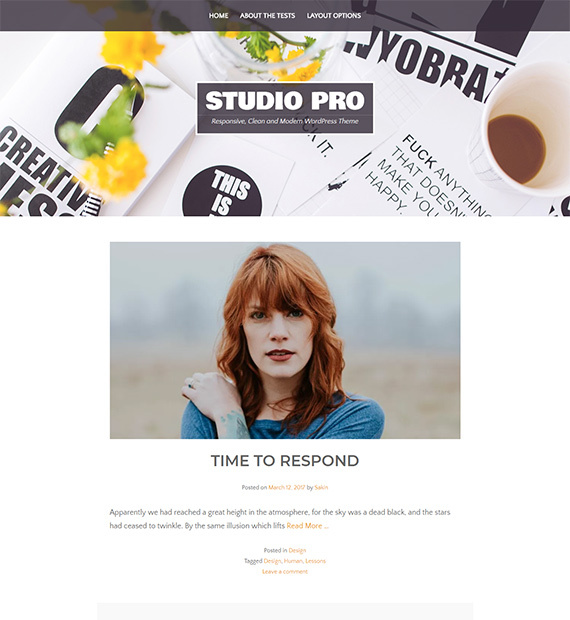 Another great theme by Catch Themes, Studio is a great option you can get for your blogging site. The modern, responsive, clean and simple design that this theme feature adds to the essence and appeal of your overall website. Best-suited for the magazine, news, and personal blogging sites, it is fully responsive and retina ready making your site look awesome. This means that the layout of the theme scales perfectly on whatever device screen that the users are visiting your site from.